While parenting behaviors among anxious parents have been implicated in the familial transmission of anxiety, little is known about whether these parenting behaviors are unique to specific parental anxiety disorders. 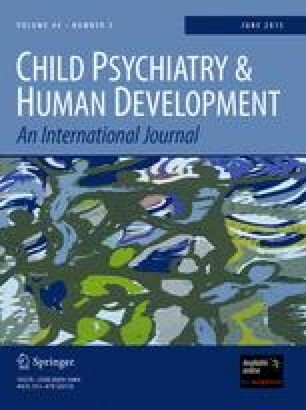 The current study examined differences in the use of five specific parenting behaviors (i.e., warmth/positive affect, criticism, doubts of child competency, over-control, and granting of autonomy) in anxious parents with (n = 21) and without (n = 45) social anxiety disorder (SAD) during a 5-minute task with their non-anxious child (aged 7–12 years, M = 9.14). Parents with SAD demonstrated less warmth/positive affect and more criticism and doubts of child competency than did those without SAD. There were no group differences in over-control or granting of autonomy. Findings help clarify inconsistent results in the literature, inform models of familial transmission, and suggest intervention targets for parents with SAD. This study was supported by grants from the National Institute of Mental Health (K23MH63427 and R01MH077312) awarded to Golda S. Ginsburg, PhD.